Events at Fort Plenitude | I Write. This Friday, December 7th, (a day that lives in infamy) Tales to Terrify will air my narration of Cat Rambo’s story, “Events at Fort Plenitude.” I love Ms. Rambo’s writing, and I hope she’ll approve of my interpretation of her story. If you’re looking for some creepy fantasy-horror to listen to while your eyes and/or hands are busy, check it out. Let me know what you think. 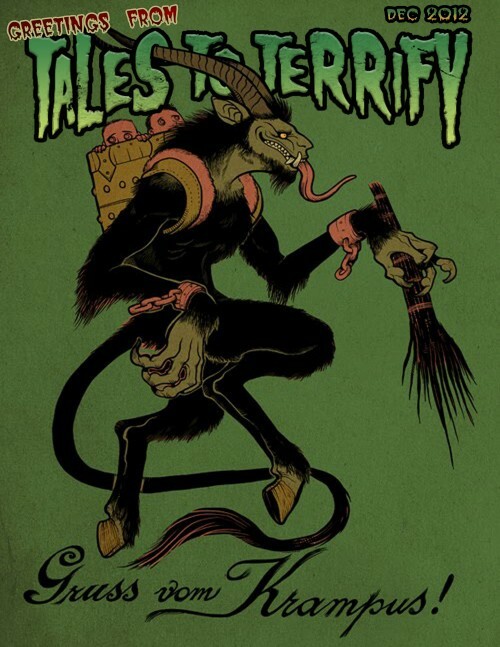 More importantly, leave a comment on the Tales to Terrify site. If you really like what you find there, consider buying their first anthology to help support the ‘cast. I started listening to Starship Sofa way back in its infancy, and remain a loyal fan of Tony C. Smith’s Hugo Award-winning work there. If you’re a science fiction fan and you’re not listening, you’re seriously missing out. There’s more nerdy goodness there than you can shake a gaffi stick at.